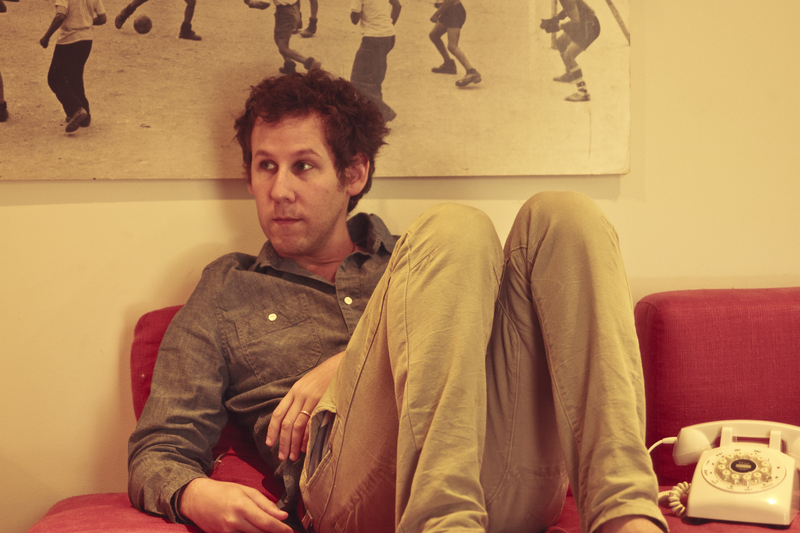 One of the most successful singer-songwriters of our time, Ben Lee has produced hit after Indie-pop hit – picking up four ARIAs, two APRA Awards, and copious nominations along the way. The Aussie musician chats about his new album Ayahuasca and the spiritual, hallucinogenic substance which inspired it. The Sydney-sider first broke onto the scene in 1993 as a ripe young 14-year-old with his band Noise Addict, after a rocking Nirvana concert inspired him to work up to gigs of his own. He didn’t waste any time jumping out as a solo artist – at 16, he recorded his first solo album Grandpaw Would and staked out the United States with an international tour. With his celebrated hits ‘Catch My Disease’ and ‘We’re All in This Together’ appearing in television series, films, and even the closing ceremony of the 2006 Commonwealth Games, Ben has marked his place in the West as a hugely successful solo artist. Now, with a well-established career under his belt, Ben has the space to make a few changes to his music, giving us something a little different to what we might expect. Ben’s latest release Ayahuasca delves into the singer’s interest in spirituality, his search for joy, and what it means to be human, through an intense aural journey. Ayahuasca (or the “death vine”) is a South American vine with hallucinogenic properties. Brewed into tea and consumed ceremoniously by natives for thousands of years, ayahuasca is said to evoke a death and rebirth experience through which one may look deeply into their own soul and connect with their spirit through the divine. The songs on Ayahuasca each represent a moment in Ben’s spiritual journey, and he gives us an insight into the experience of the vine and its impact on his music. STEPH: Tell me a bit about your new release Ayahuasca, and how you translated the experience of this hallucinogenic tea into your music. BEN: Spiritual paths and religions have always used various techniques to create amplified states of consciousness. Mantra, prayer, meditation, plant medicines all do similar things: they give us a different perspective from which to view our lives. Hopefully, that is a perspective that shows our errors and mistakes clearly so that we can rectify them definitely. I have a lot of gratitude for my experiences with that particular medicine, and I just tried to make a collection of songs in gratitude to it. My album, much like the medicine itself, is not for everyone. It’s quite abstract and impressionistic. But I’ve always aspired to be an artist who followed their natural rhythm as opposed to constantly chasing hits. S: How did you first come across the tea? B: I had read about it since I was a teenager. A friend of mine had been working with it for a while and I saw some positive changes in him. He had stopped drinking and taking drugs and was beginning to mature in his relationships to women. These changes were definitive and encouraged me to see what was going on with this practice. S: How would you describe the experience of ayahuasca and how has it changed the way you feel or the way you look at the world? B: It’s a death and rebirth experience. All spiritual practices contain the death-rebirth experience in different ways. We have to allow the old to die and be born anew into the present moment, with all of its complexity and glory. It’s hard to describe the death experience. It can be very scary. But the larger the sacrifice, the larger the victory. S: You’ve often talked about spirituality in relationship with your music. What was the most intense spiritual experience or moment you’ve ever had? B: Marriage. It’s an ongoing spiritual experience. An ongoing experiment in growth, compromise, alchemy, and letting go. S: How have your fans responded to the drastic change in style, mood, and themes of your music since you first started? B: My music has changed many times over the years, and generally, some drop off when I change, and other new ones are gained. S: What to you makes a really good voice that fans will continue to be drawn to? B: Authenticity, honesty, and inspiration. A good voice is not really even the voice of the singer anymore, it is the universal song that is being sung through them. Communicating the psychological truth of a song can be a complicated process. It’s often more about getting out of the way, rather than tricks or techniques. This article featured in Warp Magazine, June 2014. http://www.warpmagazine.com.au.